Thanks for helping to get the word out about our new Explorer Post with the Jefferson County EMA – they had a great kick-off on October 11th. They are having their first regular meeting on Thursday, November 8th, at 6:30 p.m. The location is the same - 709 19th Street North 35203 – in the basement of the Jefferson County Courthouse. Please share with interested students that if they missed the kick-off, they are welcome to come to this meeting and check it out. They can also email emainfo@jccal.org for more information. I want to share with you a brand-new Explorer Post opportunity with the Jefferson County Emergency Management Agency. A very unique and exciting program, this is only the second EMA Post in the entire nation! Students in this program will interact with a variety of agencies throughout Jefferson County, including Law Enforcement, Fire and EMS, and the National Weather Service. In addition to learning about a variety of career options, participants will train for certification as an emergency response unit that can be called into service to support the EMA in carrying out its mission in times of community crisis. Jefferson County Emergency Management, in partnership with Boy Scouts of America, is proud to sponsor the Emergency Management Career Exploring Post 427. The Emergency Management Exploring is a program for young people who are interested in learning more about careers in emergency management and disaster preparedness. Explorers learn about diverse careers and educational opportunities available within the scope of emergency management and interact with leadership from the local emergency management office as well as partners within the community. There will be many opportunities to participate on hands on activities and training, and explorers will learn about the educational requirements for a variety of jobs within emergency management. 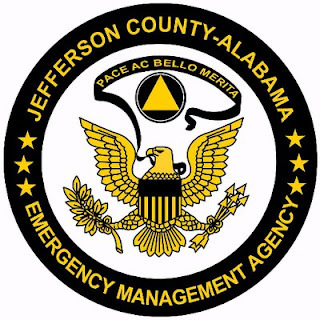 You are invited to attend our Open House at the Jefferson County Emergency Management Office on Thursday October 11th at 6:30 PM, in the Emergency Operations Center, to learn about what Emergency Management Exploring has to offer and to learn how you can join this group. The Emergency Management office is located at 709 19th St N in Birmingham. You are welcome to bring a friend, and you parents are also welcome to attend. We will tentatively meet on the second Thursday of every month at 6:30 PM at the Emergency Management Office. You can help better prepare for our Open House by letting us know if you plan to attend. You can reply to us by email at emainfo@jccal.org or you can call our office at 205-254-2039. If you want more information about the Exploring Program, you can ask your school guidance counselor or go to our website at www.exploring.org and click on the Exploring Icon. We hope to see you on October 11, 2018 at 6:30 PM!